The Gist: Colin Atrophy Hagendorf the Slice Harvester and Hurricane Katrina. 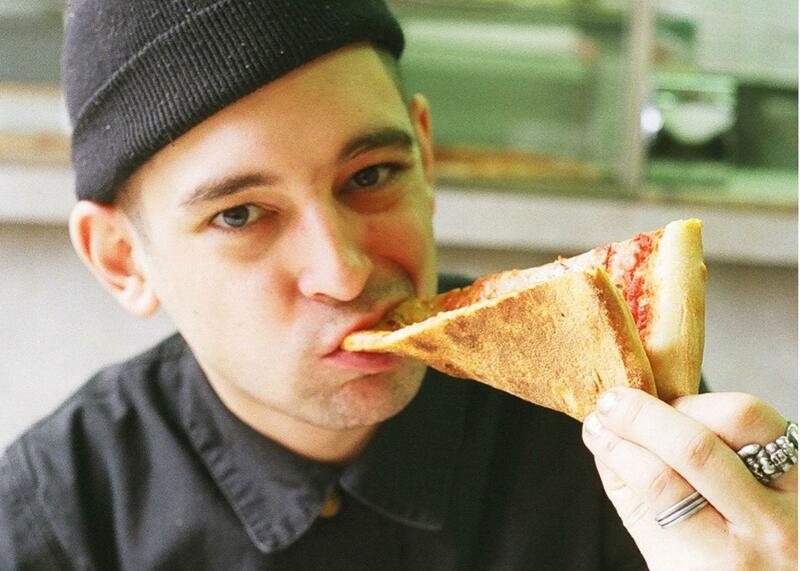 Lifelong punk rocker Colin Atrophy Hagendorf tells us about his quixotic quest to sample a slice from every pizza place in Manhattan. On The Gist, Colin Atrophy Hagendorf tells us why he decided to eat a slice from every pizzeria in Manhattan. Unlike Super Size Me or Julie & Julia, sometimes ambitious food-related projects aren’t life-changing experiences. But they can produce singular memoirs like Slice Harvester. For the Spiel, Mike remembers reporting on Hurricane Katrina for NPR. Today’s sponsor: Stamps.com, where you can buy and print official U.S. postage right from your desk using your own computer and printer. Use the promo code THEGIST to get a no-risk trial and a $110 bonus offer. And by Draft Kings. Start this football season by winning 2 million dollars! Use code GIST to play free for a shot at 2 million dollars in the Week One 10 Million Dollar Millionaire Maker. Go to DraftKings.com.